Background: Many plant growth-promoting bacteria including Rhizobia contain the 1-aminocyclopropane-1-carboxylate (ACC) deaminase enzyme that can leave ACC, and thereby lower the level of ethylene in stressed plants. Drought and salinity are the most common environmental stress factors for plants in Iran. Objectives: The main aim of this research was development of bio-fertilizers containing ACC deaminase enzyme which is very important in conditions of stressed drought and salinity. Materials and Methods: In this research 168 isolates of native Sinorhizobium meliloti were evaluated for ACC deaminase activity. These isolates were classified in four groups based on growth rate on ACC containing medium and enzyme activity. One isolate from each group was selected for molecular characterization. The nucleotide sequence of 16S rRNA gene of the selected isolates were determined. The ACC deaminase genes (acdS) on total and chromosomal DNA of S. meliloti KYA40, and KYA71 strains were isolated and cloned in pTZ57R/T vector and the obtained recombinant plasmids were used for sequence analysis. Results: The sequence of acdS genes from strains KYA71 and KYA40 and corresponding proteins were analyzed with respect to available sequences in NCBI database. The 16S rRNA gene sequences of S. meliloti strains submitted to the GeneBank/NCBI database. The acdS gene of KYA71 may be located on chromosomal DNA and in KYA40 it is located on one of the mega plasmids. These two genes have 99% similarity with three nucleotide differences which only lead to a change in one amino acid 48, threonine in KYA40 acdS gene and methionine in KYA71. Conclusions: The comparison of amino acid sequences of KYA40 and KYA71 with other sequences in the database showed that the amino acids 37 to 58 in almost all strains were similar. Therefore, it was concluded that it was a conserved region in this location of acdS genes and any changes in this region may cause change in ACC deaminase activity. Ethylene is an important hormone for the normal growth and development of plants, developments such as root elongation, senescence, fruit ripening, etc. However, when this hormone is present at high concentration, for example in stressed conditions, it can be damaging for plants (1). Plant growth promoting rhizobacteria (PGPR) are a group of soil bacteria that can stimulate the growth of plants through various mechanisms such as nitrogen fixation, synthesizing phytohormones or solubilizing phosphates (2). Many PGPRs contain the enzyme 1-aminocyclopropane-1-carboxylate (ACC) deaminase. This enzyme can cleave ACC, the precursor of ethylene, to α-ketobutyrate and ammonium (3) and thereby lower the level of ethylene in stressed plants (4). This process enables microorganisms to grow on a minimal medium containing ACC as the sole nitrogen source. The low levels of ethylene by ACC deaminase is considered one of the most important mechanisms employed by plant growth-promoting bacteria to facilitate plant growth under environmental stress conditions such as salinity (5), flooding (6) and drought (7). Rhizobia such as Sinorhizobium meliloti are well known as nitrogen fixing bacteria and have a symbiotic relation with root of legume plants. Some Rhizobia contain the enzyme ACC deaminase (15). Drought and salinity are the most common environmental stress factors for plants in Iran, where about 75% of the land area is semi-arid or arid and the total saline soils are approximately 55.6 Mha (about 34% of the land are“a) (8, 9). Therefore, development of biofertilizers containing ACC deaminase enzyme will be very important in these stressed conditions in Iran. In this research, some indigenous Sinorhizobium meliloti strains were investigated for ACC deaminase enzyme activity. Four strains were selected for further investigation. We sequenced 16S rRNA and ACC deaminase (acdS) gene of these strains. The sequence of 16S rRNA gene has been widely used as a molecular tool to estimate relationships among bacteria (phylogeny), but more recently it has also become important as a means to identify an unknown bacterium to the genus or species level. We postulated that these strains have ACC deaminase activity. Here we describe isolation, cloning and sequence of acdS gene of Sinorhizobium meliloti KYA40 and KYA71 strains. The main objectives of this study was th evaluation of 1-aminocyclopropane-1-carboxylate (ACC) deaminase genes (acds) for further studying of environmental stresses such as dry and saline soils in future investigations. One hundred and sixty eight strains of Sinorhizobium meliloti were obtained from the collection of Soil and Water Research Institute of Iran. Before assaying the ACC deaminase activity of strains they were screened on ACC containing Rhizobium minimal medium (RMM) and classified based on the growth rate by measuring the difference between colony diameter on ACC and control plates. Three series of plates were prepared; 1. RMM (as a negative control). 2. RMM supplemented with 150 mL of 0.3 M ACC, 3. RMM supplemented with 150 mL of 0.3 M NH4Cl (as a positive control). The colony diameter was measured after 4 days incubation at 28ºC. One strain of each group was selected for further investigation. Solution 1 and 2 autoclaved separately. Thesolution 3 filter-sterilized through a 0.2 ìmmembrane andadded to mixed medium at about 50ºC (Table 1). Pure cultures of Sinorhizobium meliloti isolates were grown in 50 ml conical flasks containing 25 ml of Yeast Extract Mannitol Broth medium (12). The cells from 5 ml were pelleted in a bench centrifuge (7500 g in 10 min in 4ºC) and the resuspended pellets (50 mL) were transferred into 1.5 ml centrifuge tubes, followed by washing the cells three times with 500 mL TE buffer (10 mM Tris HCl, 1 mM EDTA, pH 8.0). The cells were re-suspended in 100 mL of a solution containing 25% sucrose, 1 mg/ml lysosyme, 10 mM Tris HCl, pH 8.0 at 37ºC for 15 min. The lysate was mixed gently with 150 mL of 7.5 M ammonium acetate and mixture was extracted with 500 mL of chloroform/isoamyl alcohol (24:1, v/v) by mixing and centrifuging in 9500 g for 10 min. The aqueous layer was transferred to a clean 1.5 mL centrifuge tube and the DNA was precipitated by propanol. DNA was washed twice in 100 mL 70% ethanol and then resolved in 20 mL of TE buffer (13). For preparation of total DNA from Sinorhizobium meliloti about 100 mL of culture was centrifuged at 9500 g for 3 minute. The cells were re-suspended in 50 mL distilled water and boiled for 5 minutes and centrifuged at 9500 rpm for 5 minute. 2 mL of the supernatant was used as template in 25 mL PCR reaction. The universal Primers, fD1 5’ AGAGTTTGATCCTGGCTCAG 3’ and rD1 5’AAGGAGGTGATCCAGCC 3’ (14) were used for PCR amplification of 16S rRNA gene. PCR products were cleaned by High Pure PCR Product Purification Kit (Roche Molecular Biochemicals, Mannheim, Germany). The partial nucleotide sequences of the 16S rRNA gene were determined by direct sequencing of appropriate PCR products using fD1 and rD1 primers. The sequences of 16S rRNA were compared with sequences from NCBI Gene Bank database. One of the white colonies that received inserted fragment of the acdS gene was confirmed by PCR using ACCDF and ACCDR primers. The recombinant plasmids containing acdS were sequenced for ultimate confirmation. The strains were grown in Yeast Extract Manitol Broth medium to late log phase before the cells were harvested by centrifugation (8000 rpm in 10 min), washed with 0.1 M Tris-HCl (pH=8.5) and incubated in RMM containing ACC as the sole source of nitrogen for 24 h. The bacterial cells were collected, re-suspended in 0.1 M Tris-HCl, 30 mL toluene were added to the cell suspension. The toluenized cells were divided in two aliquots. In one aliquot, ACC deaminase activity was assayed immediately by adding 0.5 M ACC and a-ketobutyrate is derivative as a phenyhydrazone and then the absorbance is measured at 540 nm (3, 10). In another aliquot of toluenized cells, the total protein was assayed by by Bradford method (11) using bovine serum albumin as standard. One unit of ACC deaminase activity identified as formation of 1 nmol of α-ketobutyrate per mg protein per hour under these conditions. From 168 isolates, 77 isolates were able to grow on ACC containing medium. Based on the colony diameter of isolates on RMM medium, strains were categorized in four groups, zero, <2, 2-6 and >6 mm. (Table 2). Twenty strains of 168 strains (five strains fromeach group) including high, medium, weak and nogrowth were selected for future investigation. These strains were selected based on other similar morphological and physiological characteristics (data not shown). Different strains obtained on ACC containingmedium showed differences in their deaminase activities, as shown in Table 3. The results showed that, ACC deaminase activity of strains was 0-326 nmol of a-ketobutyrate mg-1 protein h-1 (Table 3). Four strains of Sinorhizobium meliloti KYA40 (with maximum growth on ACC agar and 136 nmol a-ketobutyrate mg-1protein.h-1), KYA71 (with medium growth on ACC agar and 326 nmol a-ketobutyrate mg-1protein.h-1), KYA27 (with weak growth on ACC agar and no ACC deaminase activity), and KYA95 (with no growth on ACC agar and no ACC deaminase activity) were selected for molecular investigations. PCR with universal Primers, fD1 and rD1 resulted in 1500 bp fragment of 16S rRNA gene sequence (Figure 1.). The sequences were subjected to BLAST (Basic Local Alignment Search Tool) in NCBI data base to compare a DNA sequence with DNA sequences in the database which showed that these strains are Sinorhizobium meliloti. The 16S rRNA gene sequences of Sinorhizobium meliloti strains were submitted to the GeneBank/NCBI database under the accession numbers of EU625296 (S. meliloti KYA27), EU603723 (S. meliloti KYA40), EU603721 (S. meliloti KYA71) and EU625297 (S. meliloti KYA95). A 1.5 kb fragment of 16S rRNA for each strain was detected. Ethidiombromid stained agarose gel of the PCR products of 16S rRNA showed in Figure 1. PCR with the primers ACCDF and ACCDR resulted in 1020 bp fragment for strains KYA40 and KYA71. The Ethidium bromide stained Agarose gel of the PCR products of ACC deaminase gene in strain KYA40 and KYA71 are shown in Figure 2 for colony PCR and in Figure 3 for genomic DNA. The sequence analysis and BLAST search in NCBI revealed that these fragments are ACC deaminase gene. The sequence of acdS genes from strains KYA71 and KYA40 submitted to the GeneBank/NCBI database under the accession numbers of KYA71 (EU003994) and KYA40 (EU603722). The 16S rRNA evaluation of the strains revealed that the bacteria used in this study are sinorhizobium melioloti and this means that the previous biochemical tests for identification of these bacteria were accurate. The results of the present study clearly demonstrated that some of Sinorhizobium meliloti strains native to soils of Iran contain ACC deaminase enzyme. The first presence of ACC deaminase in Rhizobia was reported by Ma and colleague (15). Peters and Crist-Estes reportedthat ethylene inhibits nodule development in alfalfa (Medicago sativa) (16). It was reported that strains of rhizobia that have ACC deaminase enzyme may have the ability to lower ethylene levels in their host specific legumes and overcome some of the negative effects of ethylene on nodulation. Ma et al., (17) reported that Sinorhizobium meliloti containing ACC deaminase-producing activity showed 35-40% greater efficiency in modulating of alfalfa than strain without ACC deaminase activity. Hence the ACC deaminase containing Sinorhizobium meliloti strains obtained from this research can be used for future investigation and inoculation of alfalfa in salinity and drought stress conditions in Iran. Therefore these genes may be used for transferring to other bacteria or producing transgenic plants. Based on the PCR amplification of acdS gene by two methods colony PCR and genomic DNA, it is concluded that the acdS gene of KYA71 may be located on chromosomal DNA and in KYA40 is on one of mega plasmids. (18) reported that acdS gene of R. leguminisarum bv viciae 128C53K is located on one of the endogenous large plasmids. These two genes had 99% similarity with three nucleotide differences (Table 4), which only lead to change in one amino acid 48, threonine in KYA40 acdS gene and methionine in KYA71. Two genes has 86% identity with Sinorhizobium meliloti plasmid pSmeSM11a and 85% with Rhizobium leguminosarum bv. viciae plasmid pRL10. Hontzeas et al., (19) reported that substitution of Asp44 with Gly44 by point mutation causes deactivation ACC deaminase activity. They concluded that the highly conserve Gly44 is important in gating ACC (substrate) entry enzyme’s active site. The comparison of amino acid sequences of acdS gene of KYA40 and KYA71 with other sequences in database showed that the amino acids 37 to 58 in almost all strains are similar (Figure 4). Therefore, it is concluded that it may be a conserve region in acdS genes and any changes in this region may cause change in ACC deaminase activity. Shah et al., (20) showed that the codons used by ACC deaminase genes of Pseudomonas putida, P. fluorecens and Enterobacter cloacae are highly conserved. Duan et al., (22) reported relatively little diversity in ACC deaminase genes of some Rhizobium strains isolated from a wide geographic area. 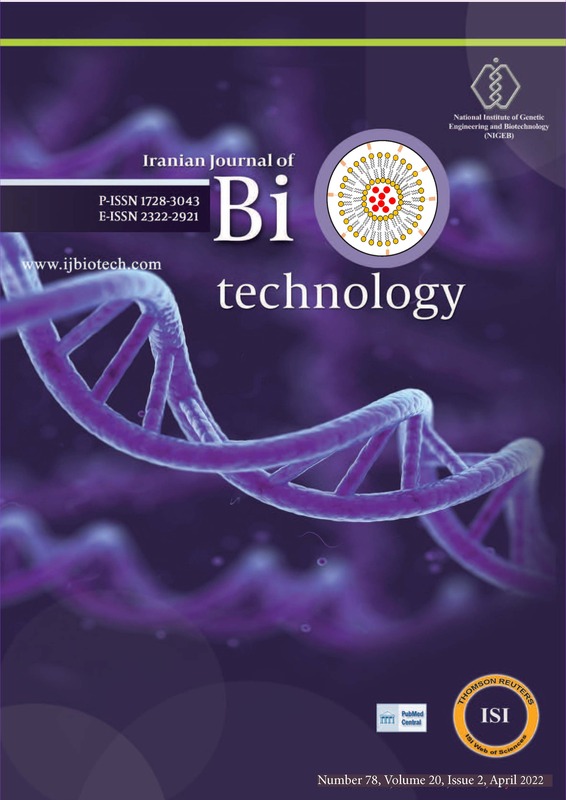 The authors would like to thank all the staff of Soil Science Department of University of Tehran, National Institute of Genetic Engineering and Biotechnology and Soil and Water Research Institute of Iran. University of Tehran,National Institute ofGenetic Engineering andBiotechnology andSoil and Water ResearchInstitute financiallysupported this study and provided materials andequipments. 1. Abeles FB, Morgan PW, Saltveit ME: The biosynthesis of ethylene. In: ethylene in plant biology, 2nd edition edn: Academic Press; 1992. 2. Glick BR: The enhancement of plant growth by free-living bacteria. Can J Micrbiol. 1995;41:109-117. 3. Honma M, Shimomura T: Metabolism of 1-aminocyclopropane1-carboxylate deaminase. Agricultural and Biological Chemistry. 1987;42:1825-1831. 4. Glick BR, Penrose DM, Li J: A model for the lowerig of plant ethylene concentration by plant growth-promoting bacteria. J Theor Biol. 1998;190:63-68. 5. Sergeeva E, Shah S, Glick BR: Growth of transgenic canola (Brassica napus cv. Wester) expressing a bacterial 1-aminocyclopropane-1-carboxylate (ACC) deaminase gene on high concentration of salt. World J Microbiol Biotechno. 2006;22:277-282. 6. Grichko VP, Glick BR: Ethylene and flooding stress in plants. Plant Physiol Biochem. 2001;39:1-9. 7. Mayak S, Tirosh T, Glick BR: Plant growth-promoting bacteria that confer resistance to water stress in tomato and pepper. Plant Sci. 2004; 166:525-530. 9. Moameni, A. Geographical distribution and salinity levels of soil resources of Iran. Iranian Journal of Soil Research. 2011;24(3):203-215. (In Persian). 10. Penrose DM, Glick B, R.: Methods for isolating and characterizing ACC deaminase-containing plant growth-promoting rhizobacteria. Physiol Plant. 2003;118:10-15. 11. Bradford MM: The principle of protein-dye binding. A rapid and sensitive method for the quantitative of protein utilizing. Analitic Biochem. 1976;72:248-254. 12. Vincent JM. A manual for the practical study of root-nodule bacteria. London: Blackwell Scientific.1970. 13. Agrawal R, Bajoria S, Pareek RP: DNA isolation from Rhizobium by phenol chloroform method. Retrieved February 21st 2012 from: http://www.protocolonline.org/prot/Protocols/DNA-Isolation-from-Rhizobium-by-Phenol-Chloroform- Method-3440.html. 14. Weisburg WG, Brans S, M,, Pelletier D, A. : 16S ribosomal DNA amplification for phylogenetic study. Journal of Bacteriology. 1991;173:697-703. 15. Ma W, Sebestianova SB, Sebestian J, Burd GI, Guinel FC, Glick BR: Prevalence of 1-aminocyclopropaqne-1-carboxylate deaminase in Rhizobium spp. Antony Van Leeuwenhoek.2003;83:285-291. 16. Peters NK, Crist-Estes DK: Nodule formation is stimulated by the ethylene inhibitor aminoethoxyvinylglycine. Plant Physiol Biochem 1989;91(2):690-693. 17. Ma W, Charles TC, Glick BR: Expression of an exogenous 1-aminocyclopropane-1-carboxylate deaminase gene in Sinorhizobium meliloti increases its ability to modulate alfalfa. Appllied Environ Microbiol.2004;70:5891-5897. 18. Ma W, Guinel FC, Glick BR: Rhizobium leguminosarum bv. viciae 1-aminocyclopropane-1- carboxylate deaminase promotes nodulation of pea plants. Applied Environ Microbiol.2003; 69:4396-4402. 19. Hontzeas N, Zoidakis J, Glick BR, Abu-Omar MM: Expression and characterization of 1-aminocyclopropane-1-carboxylate deaminase from the rhizobacterium Pseudomonas putida UW4: A key enzyme in bacterial plant growth promotion. Biochimia et Biophysica Acta. 2004;1703:11-19. 20. Shah S, Li J, Moffatt BA, Glick BR: Isolation and characterization of ACC deaminase genes from two different plant growth-promoting rhizobacteria. Can J Microbiol. 1998; 44:833-843. 21. Duan J, Muller KM, Charles TC, Vesely S, Glick BR: 1-Aminocyclopropane-1-carboxylate (ACC) deaminase genes in rhizobia from southern saskatchewan. Microb Ecol.2009; 57:423-436.